Clubmoss spike. 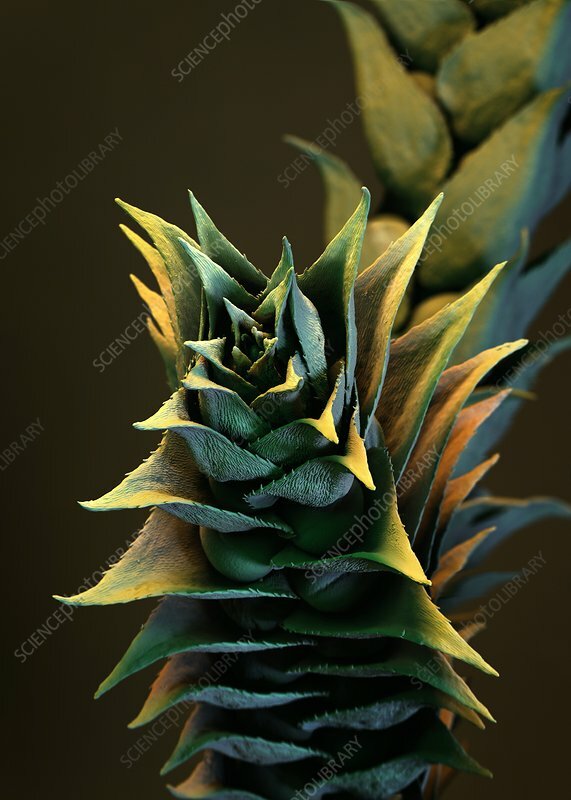 Coloured scanning electron micrograph (SEM) of a spike from a Selaginella spikemoss or lesser clubmoss. The spikes bear simple, scale-like leaves.